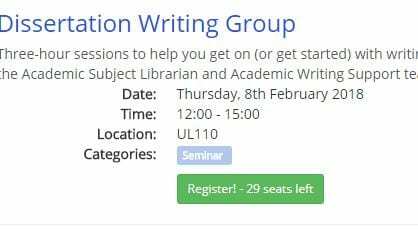 We have a range of Events and Workshops in the Library for any Lincoln International Business School student, like our fabulous Dissertation Writing group – reserve your place today! We have recently acquired EBook Central, which is a vast collection of electronic books that significantly boosts our business library provision. It is easy to use and indeed, colourful – you are able to limit your results by selecting the left-hand side of the page, including by author. Please provide us with some feedback about this new acquisition.